Mr. Komal Nahta is a famous Film Trade Analyst. 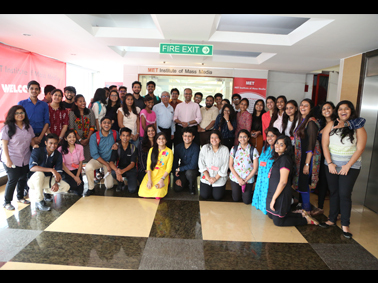 He explained the roles and responsibilities of a ‘Film Trade Analyst’ to the Post Graduate Diploma students of Advertising, Entertainment, Public Relations, Journalism and Digital Marketing. He provided MET students in Mass media a great detail of information regarding the approach of a Journalist. 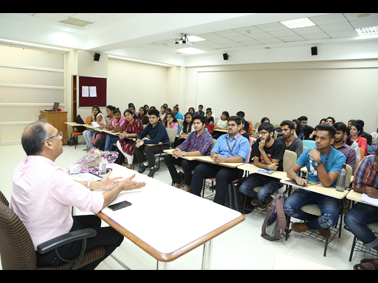 The session held on 21 August 2018 also consisted of a great deal of Questions and Queries by PG media students, which were answered by Mr. Nahta. It was a session with lot of insights in the economics and other essential aspects of Bollywood.